By its very nature coal creates added problems for machinery and equipment operators, which makes the grease analysis service offered by total fluid management provider Techenomics a must in the coal industry. This is particularly important for slew and swing bearings which are vital for the industry to operate efficiently. 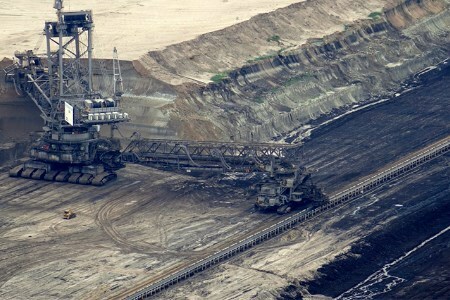 Most mining operations have to combat dust but those in the coal space have the added risk posed by coal dust. The ingress of coal dust into the internal components of equipment reduces the effectiveness of lubricants and grease thus impacting productivity. As a specialised independent provider of oil and grease management services, Techenomics stresses the important of an effective grease sampling, testing, analysis, data collection and dissemination and interpretation programme. According to Sahar Nazari, Supervisor at the Techenomics Australia laboratory in Newcastle, analysis provides important information about grease, including the amount of wear, contamination, consistency, bleeding behaviour and condition of base oil and additives. “Lubricant contamination is a leading cause of bearing failure,” she says. “Coal dust, dirt particles, other contaminants and the application of incompatible grease are all factors that increase equipment failures while the use of two incompatible lubricants also leads to deterioration in lubricating capability. “If bearing defects are not identified and remedied, they can lead to component and equipment failure. The damage tends to grow exponentially with time and if left unattended, it can result in catastrophic failure,” she says. Slew bearing performance is generally under low speed and temperature but Sahar Nazari warns that poorly performing, contaminated grease leads to extra heating of the load zone, accelerating grease dry-out and escalating grease starvation. “Heat rapidly drains oil out of the grease thickener, causing volatilisation and base oil oxidation, all of which contributes to hardening and greater starvation. Patch test results indicate the deterioration of slew bearings with increasing fine iron and magnetic wear particles with the fourth image showing complete grease dry out. She says there is a stench of oxidation in this grease and evidence that hard particles can be deposited along with the thickener, forming a wall next to the bearing. These include wear particles, dirt, rust and manufacturing debris. Use of the correct grease in the right quantity prevents friction, provides protection against corrosion and helps provide a seal. Too much water in grease can reduce its thickness and cause water washout, leading to base oil oxidation and ultimately bearing corrosion. Sahar Nazari says the amount of lubrication will need to be increased and lubrication intervals shortened in extreme conditions such as in the tropics where humidity levels are raised, where exposure to dust and dirt is high, and where extreme temperature fluctuations prevail. She says inadequate regrease volume and/or frequency is diagnosed or confirmed by premature oil oxidation, friction polymers, adhesive wear debris, tempered particles and black iron-oxide particles. In the case of high acidity and friction polymers, the grease will include a high quantity of insoluble materials, which will be identified in Techenomics testing procedures. Techenomics CEO Chris Adsett says the company has a range of tests used when analysing grease to identify these issues. "Over time, these patterns are trended which enables us to provide operators with a clear indication of what is causing the issue and how it can be treated." He says Techenomics' comprehensive tests and analysis by trained experts in accredited laboratories using relevant software allows the company to effectively test grease samples.